In July 2016, the University of Adelaide received an allegation of research misconduct involving the PhD thesis work of a graduate student. We were her supervisors. We first heard about the allegation not from the University but from a journalist working for ABC TV Australia. It was alleged to have occurred in our laboratory over 15 years ago. The ABC journalist was in possession of confidential emails between the complainant and the University of Adelaide and the journalist was persistent in attempts to obtain our comments. Although the University process was confidential, it appeared that the complainant was working with the journalist to run a story on unsubstantiated claims before an investigation had commenced. The claim was made against one of our former students, Dr Maryanne Demasi, who had been awarded her PhD in 2004. Since then, Dr Demasi has worked for the SA Government as a Ministerial advisor and most recently, as a science journalist for ABC TV’s Catalyst program. In 2016 she produced and presented a program covering the scientific debate on the possible health effects of the electromagnetic radiation from Wi-Fi-enabled devices like mobile phones. This attracted criticism from the Telco industry and the ABC imposed a three-month suspension on her duties. Dr Demasi defended her program (Demasi, 2016). However, shortly after her high-profile suspension, the allegation of research misconduct arose. The complainant’s identity was not known to us but the emails we received from the ABC journalist described the person as a ‘leading Australian scientist’ from the prestigious Walter and Eliza Hall Institute (WEHI). The journalist’s specific mention of WEHI as the employer of the complainant served to give gravitas to the allegations. They appeared to have the imprimatur of WEHI. The complaint was made in the form of several images of Northern and Western blots with arrows and annotations and alleged that Dr Demasi had duplicated some images in her PhD thesis. The experiments had been done 15-16 years earlier and the thesis was submitted 14 years ago. The topic of her thesis relates to the effect of hypoxia on expression and activity of cyclooxygenase 2 (COX-2), a pro-inflammatory enzyme. There was no context to the complaint such as whether the allegations could have affected the conclusions drawn from the impugned figures or the conclusions of each thesis chapter or the overall conclusions of the thesis. Also, there had been no suggestions of any issue with the research findings in the 15-16 year interim. 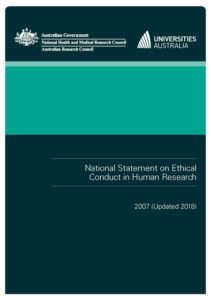 The process for managing allegations of research misconduct was specified in the Australian Code for the Responsible Conduct of Research (National Health and Medical Research Council, 2007a). After an initial internal investigation, which took 11 months, the University convened an independent panel, external to the University, to examine the allegations. This was in accord with the Australian Code. The Chair was the Honourable John Sulan QC, a former Justice of the Supreme Court of SA. There were three other panel members who were all academic experts. The panel took testimony from expert witnesses, from ourselves as the supervisors of Dr Demasi’s PhD studies, and from Dr Demasi. Witnesses, including ourselves, had previously provided written sworn statements and were questioned on these by legal counsel assisting the panel and by Dr Demasi’s legal team. The hearing was held in Sydney. It commenced in March 2018, approximately 21 months after the University received the allegations, and ran over four days. At the time of our attendance at the hearing, we learned that the complainant had declined a request to attend the hearing to speak to the allegations under the panel’s rules of procedural fairness in place for all witnesses. The complainant chose not to provide a sworn statement presenting the evidence or context for the allegations. The process placed the entire burden of proof on Dr Demasi. Most of the original documents from the experiments conducted in the years 2001-03 had been discarded years before, especially as our laboratory had closed prior to the building, in which it was housed, being decommissioned for the move to the new Royal Adelaide Hospital. The allegations were based on highly processed images that had been generated on a scanner and computer technology dating back to the 1990s. In response to three allegations, there had been duplication and this was intended. They represented the ‘baseline’ value for time course experiments and they were intended to indicate there is only one baseline for both the normoxia and hypoxia treatments. The expert witnesses and the panel agreed this was acceptable practice at the time, circa 2002, and did not constitute a breach in any code. The panel found no evidence of duplication for the remainder of the specific allegations where the respondent had denied duplication. The panel ruled that it could not substantiate any of the allegations made by the complainant (University of Adelaide, 2018). Within 24 hours of the panel findings appearing on the University website, the online Post Publication Peer Review (PPPR) site ‘Retraction Watch’ posted the headline ‘Controversial Australian science journalist admits to duplication in her PhD thesis’. This headline thus began by branding Dr Demasi as controversial and then misrepresented the findings of the panel (Anonymous – Retraction Watch, 2018). Motive for vigilantism has raised considerable discussion in the PPPR environment. The Editor-in-Chief of the journal Plant Physiology is critical of the anonymous aspect of online comments on the PPPR site, PubPeer, saying, ‘The overwhelming majority of posts on PubPeer are negative and occasionally malicious.’ He further states, ‘What of the bulk of comments posted on PubPeer? These relate to small errors and oversights, not the stuff of misconduct nor likely to arouse any but the most obsessive of temperaments’ (Blatt, 2015). By contrast, PPPR sites are supported in the article ‘Science Needs Vigilantes’ which argues that the motive for making an accusation is not relevant – ‘are the vigilantes really doing something that requires explanation?’ (Neuroskeptic, 2013). In the present case, the complainant had made allegations about thesis work conducted 15-17 years earlier for which there had been no previous suspicion of misconduct. If the motive of any science vigilante must be to correct the scientific record, there was no apparent reasonable motive for the complainant to trawl through this old thesis. Further, because the complainant worked with a journalist to run a story on unsubstantiated claims, it is presumed the motive was other than to correct the scientific record. The collaboration with the journalist overrides the requirement of procedural fairness, also described as natural justice, as required by Section 12 of the Australian Code. In our view, the argument that the motives of vigilantes are irrelevant fails to recognise that their activities can preclude conformity with the standards for investigation of allegations and, consequently, the protections that those standards accord to participants. The investigations were conducted according to the Australian Code (2007a). This stipulates that research misconduct has several mandatory elements, one of which is that it must have ‘serious consequences’. Therefore, an allegation of research misconduct requires content and context. However, this was absent in the allegations presented to the University by the complainant and to us by the ABC journalist. There was no suggestion that the alleged image manipulation could allow the student to make a claim or conclude anything different from that which was already in the thesis. Nevertheless, the process lasted for 21 months at great financial cost to the accused and at great cost to the health and wellbeing of the accused. It was a process that required no input from the complainant after the initial allegation. The Code states ‘A person who makes an allegation must also be treated fairly and according to any legislative provisions for whistleblowers during and following investigation of the allegations.’ The standards for taking a complaint seriously are low, presumably to protect the vulnerable whistle blower. However, the standards for refuting even a mischievous complaint are high and onerous. Once the accused is shown to have no case to answer, the mischievous complainant should have a case to answer. The 2007 Australian Code is unbalanced and failed to protect the falsely accused. The 2018 revision of the Australian Code devotes more space to dealing with a complaint that is made in ‘bad faith or is vexatious’ and states that ‘action to address this with the complainant should be taken under appropriate institutional processes’ (NHMRC 2018). However, such action will necessarily be limited or will be non-existent when the complainant is not an employee of the institution as in the present case. 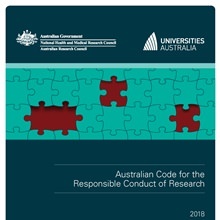 This revision of the Australian Code and the Guide to Managing and Investigating Potential Breaches of the Code (the Investigation Guide) published in 2018 together provide a manual for dealing with allegations of research misconduct while allowing scope for subjective judgements. The Guide does contain a list of “principles of procedural fairness” that institutions are “expected” to incorporate in their investigation processes. However, for these to clearly address circumstances such as those in the current case, it would benefit greatly from specifying ethics principles to be used in making judgements. Respect for persons, beneficence/non-maleficence, and justice are ethics principles that are adopted across medicine and human research (National Health and Medical Research Council, 2007b). The current case demonstrates unethical behaviour when measured against these principles. It can be argued that a complainant is not obliged to observe these ethics principles when making an allegation under the Australian Code because they are not explicit in the Australian Code. However, such an argument does not pass a reasonable person test nor would it prevent an institution requiring a complainant to observe the fairness principles that are now specified in the Guide. Research Ethics Monthly invites debate on issues raised by items we publish. However, we will only publish debate about the issues that the items raise and expect that all contributors model ethical and respectful practice. Blatt M.R. (2015) Vigilante science. Plant Physiology 169: 907-9. At first glance, there is much to be pleased about the new version of the Australian Code that was released on 14th June. A short, clear document that is based upon principles and an overt focus on research culture is a positive move away from the tight rules that threatened researchers and research offices alike for deviation from standards that might not be appropriate or even workable in all contexts. The 2007 Code was rightly criticized on several grounds. First, weighing a system down with detailed rules burdened the vast majority with unneeded compliance for the recklessness and shady intentions of a very small minority. Second, there was reason to suspect the detailed rules did not stop the ‘bad apples’. Third, those detailed rules probably did not inspire early career researchers to engage with research integrity and embrace and embed better practice into their research activity. Finally, the Code did little to create an overall system able to undertake continuous improvement. But, before we start to celebrate any improvements, we need to work through what has changed and what institutions and researchers need to do about it. And, then, maybe a quiet celebration might be in order. Researchers have some fairly basic needs when it comes to research integrity. They need to know what they should do: first, as researchers and research supervisors in order to engage in good practice; second, if they encounter poor practice by another researcher; and, third, if other people complain about their practices. The 2007 Australian Code offered some help with each of these. In some cases, this ‘help’ was structured as a requirement and over time was found wanting. The 2018 version appreciated that these questions might be basic but that the answers were often complex. The second and third questions are partly answered by the accompanying Guide to Managing and Investigating Potential Breaches of the Code (the Investigation Guide) and we’ll return to this. The answer to the first question is brief. The Code begins to address responsibilities around research integrity through a set of eight principles that apply to researchers as well as their institutions: honesty; rigour; transparency; fairness; respect; recognition of the rights of Indigenous peoples to be engaged in research; accountability, and promotion of responsible research practices. Explicit recognition of the need to respect the rights of Aboriginal and Torres Strait Islander peoples did not appear in the 2007 version. There are 13 responsibilities specific to institutions. There are 16 responsibilities, specific to researchers, that relate to compliance with legal and ethical responsibilities, require researchers to ensure that they support a responsible culture of research, undertake appropriate training, provide mentoring, use appropriate methodology and reach conclusions that are justified by the results, retain records, disseminate findings, disclose and manage of conflicts of interest, acknowledge research contributions appropriately, participate in peer review and report breaches of research integrity. In only a few cases might a researcher read these parts of the Code and conclude that the requirements are inappropriate. It would be a little like disagreeing with the Singapore Statement (the one on research integrity, not the recent Trump-Kim output). Mostly, the use of words like ‘appropriate’ within the Code (it appears three times in the Principles, twice in the responsibilities of institutions and five times in responsibilities of researchers) limit the potential for particular responsibilities to be over-generalised from one discipline and inappropriately transferred to others. There are some exceptions, and some researchers may find it difficult to ‘disseminate research findings responsibly, accurately and broadly’, particularly if they are subject to commercial-in-confidence restrictions or public sector limitations, and we know that there are significant pressures on researchers to shape the list of authors in ways that may have little to do with ‘substantial contribution’. For researchers, the Code becomes problematic if they go to it seeking advice on how they ought to behave in particular contexts. The answers, whether they were good or bad in the 2007 Code, are no longer there. So, a researcher seeking to discover how to identify and manage a conflict of interest or what criteria ought to determine authorship will need to look elsewhere. And, institutions will need to broker access to this information either by developing it themselves or by pointing to good sectoral advice from professional associations, international bodies such as the Committee for Publication Ethics, or the Guides that the NHMRC has indicated that it will publish. We are told that the Australian Code Better Practice Guides Working Group will produce guides on authorship and data management towards the end of 2018 (so hopefully at least six months before the deadline of 1 July 2019 for institutions to implement the updated Australian Code). However, we do not know which other guides will be produced, who will contribute to their development nor, in the end, how useful they will be in informing researcher practice. We would hope that the Working Group is well progressed with the further suite if it is to be able to collect feedback and respond to that before that deadline. A national standard data retention period for research data and materials. Specified requirements about data storage, security, confidentiality and privacy. Specified requirements about the supervision and mentoring of research trainees. A national standard on publication ethics, including such matters as republication of a research output. National criteria to inform whether a contributor to a research project could or should not be listed as an author of a research output. Other national standards on authorship matters. Specified requirements about a conflicts of interest policy. Prompts for research collaborations between institutions. 1. Do our researchers need more than the principle that appears in the 2018 Australian Code? 2. If yes, is there existing material upon which an institution’s guidance material can be based? 3. Who will write, consider and endorse the guidance material at a national or institutional level? Many institutions will conclude it is prudent to wait until late 2018 to see whether the next two good practice guides are released and discover how much they cover. Even if they do so, institutions will also need to transform these materials into resources that can be used in teaching and learning at the levels of the discipline and do so in a way that builds the commitment to responsible conduct and the ethical imaginations of researchers rather than testing them on their knowledge of compliance matters. The Code is accompanied by a Guide to Managing and Investigating Potential Breaches of the Code (the Investigation Guide). The main function of this Guide is to provide a model process for managing and investigating complaints or concerns about research conduct. However, before examining how to adopt that model, institutions need to make several important preliminary decisions. First, to be consistent with the Code, the Guide states that institutions should promote a culture that fosters and values responsible conduct of research generally and develop, disseminate, implement and review institutional practices that promote adherence to the Code. Both of these will necessitate the identification of existing structures and processes and a thorough assessment to determine any changes that are needed to ensure that they fulfil these responsibilities. ‘the evidence rule – that decisions are based on evidence. The characteristics require that an institution’s processes are: proportional; fair; impartial; timely; transparent, and confidential. A thorough review and, where necessary, revision of current practices will be necessary to show conformity to the Guide. Second, when planning how to adopt the model, institutions need to consider the legal context as the Guide notes that enterprise bargaining agreements and student disciplinary processes may prevail over the Guide. review officer, who has responsibility to receive requests for procedural review of an investigation. Last, institutions must decide whether to use the term ‘research misconduct’ at all and, if so, what meaning to give to it. Some guidance is offered in a recommended definition of the term but, as noted above, this will need to be considered in the legal contexts of EBAs and student disciplinary arrangements. The update to the Code provides a welcome opportunity to reflect on a range of key matters to promote responsible research. The use of principles and responsibilities and the style of the document offers a great deal of flexibility that permits institutions to develop their own thoughtful arrangements. However, this freedom and flexibility comes with a reciprocal obligation on institutions to establish arrangements that are in the public interest rather than ‘just’ complying with a detailed rule. We have traded inflexibility for uncertainty; what comes next is up to all of us.